South African Transport and Allied Workers’ Union (SATAWU) is concerned that even though June salaries at SA Express have been confirmed, it is not yet clear whether employees will be paid at the end of July. News broke earlier this week that the grounded airline would not be able to pay its employees at the end of June. 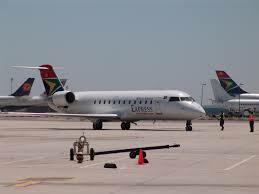 The South African Civil Aviation Authority (SACAA) grounded SA Express in May after it made 17 findings of non-compliance with regard to safety management processes. Since then the future of the airline looks uncertain, causing untold amounts of anxiety to workers who are also our members. Even though the Department of Public Enterprises has said that salaries will be paid on 25 June, SATAWU is gravely concerned about what will happen afterwards. Labour unions at SA Express have been engaging on a regular basis with Acting CEO Matsietsi Mokholo, but she has not been playing open cards. For instance, Mokholo has not confirmed if there is a proper financial plan in place to fund operations when the state-owned airline’s application for recertification is approved. Mention has been made that 10 of SA Express’s 21 aircraft will take to the sky but there is still no clarity on when that will be. It has also been said that the Safety Management System has been put in place as stipulated by SACAA but no report has been released to this effect. Mokholo has also not spoken out clearly on whether the Department of Public Enterprises will be providing the desperately-needed cash injection to fund operations for the remainder of the financial year. When questioned directly, she shifts the responsibility to the department even though as Deputy Director-General: Legal, Governance & Risk she is still an integral part of public enterprises. By virtue of her title, she works very closely with Minister Pravin Gordhan and ought to know what he is planning for the airline. SATAWU also wonders if there is a turnaround strategy in the offing, given that SA Express was in a dire financial state way before it was grounded. If such a strategy exists, it has not been shared with the unions to ensure buy-in from employees. SATAWU appeals to Minister Gordhan to clarify his intentions for SA Express and confirm once and for all whether he will be appointing a permanent CEO and Executive team to ensure continuity and accountability at the ailing airline for the sake of its employees. SATAWU is eagerly awaiting an invitation from the new board to engage on the plan to rescue the airline.